What’s Tesla’s best asset? Elon Musk? Its battery expertise? Its production facilities? Haha — you gotta think bigger. Without a doubt, Tesla’s best asset is its customer base. There are millions of people who support Tesla, sell Tesla to their friends and family, and do a world-class job analyzing Tesla on a daily basis because they want to see a zero-emission transport + clean energy champion succeed. Well, okay, a portion of those millions might just appreciate the best consumer vehicles on the planet, but they’re people too, so we’ll shuffle them into the fold and take them along for the ride. This top asset is something that probably deserves a bit more attention than it gets. The fans get criticized for loving the products and the company too hard, but do they get recognize enough? Also, who the heck is criticizing them? Who finds enjoyment in pulling people down? For that matter, who finds it important to try to quash the passion and momentum that we so sorely need in order to solve the climate crisis we’re facing? Even though I work right here in one of the trenches of Tesla’s enormous asset, I have to admit that appreciation for its power as well as its sensitivity and fragility frequently skips my mind. 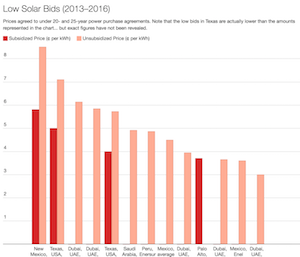 Luckily, it trickled down on my mind this evening when I saw that Teslike/TroyTeslike shared some wicked cool charts and tables with CleanTechnica. You have to appreciate a good chart maker! But it’s not just about the chart maker. 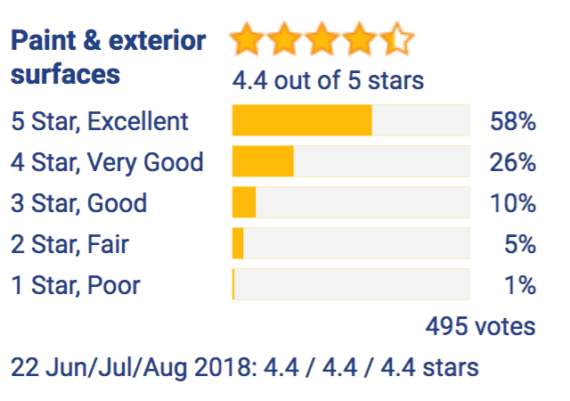 It’s the enthusiasm, insight, expertise, and good will of numerous fans, including 4,627 Model 3 buyers who completed surveys about their fresh new purchases. These people could have bought the cars, put them in their garages, and stuck to themselves — never to visit the Tesla internet again. Instead, they sensed that they and their new cars are part of something much bigger. They are part of a movement, an unprecedented transition, a rEVolution. I’ll come back to the rEVolution in a minute, but let’s first jump into the charts and tables. Oh, but wait, let’s emphasize one more thing: The results of these surveys are not from a simple random sample of Tesla Model 3 buyers. There is surely at least some self-selection bias at play here. Such are life & stats. That said, the responses are quite in large number and there are some fascinating results. 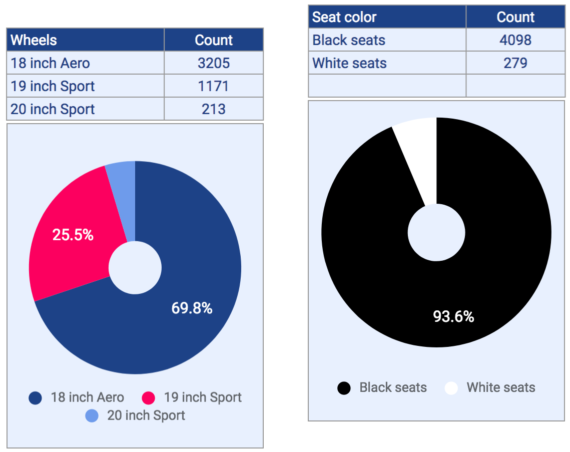 Unsurprisingly, only a rather small percentage of buyers have gotten the premium white vegan seats, which are a recent addition to the option list. 70% of respondents reported getting the simple Long Range version of the car, which is actually something obvious as well since we already knew the majority of the cars Tesla has produced have been the Long Range trim. Meanwhile, 7% got the Model 3 Performance and 23% got the Model 3 Long Range with all-wheel drive. On the other hand, a little surprisingly to me, 70% of of buyers stuck with the base aero rims. I thought more people at this stage would upgrade to the pretty sport rims. 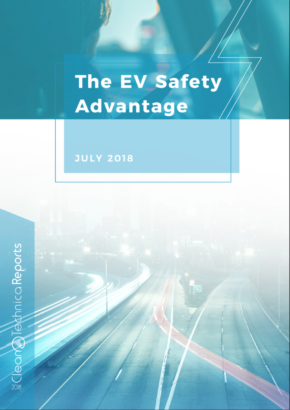 Also, more positively than I expected, a whopping 63% of buyers chose to include Enhanced Autopilot and another 15% got Full Self-Driving capability. Only 22% didn’t get one of these more sophisticated Autopilot suites at all. How satisfied are Tesla Model 3 buyers? As you can see above, respondents gave a 4+ star average to almost every topic they were inquired about. That included interior fit & finish (4.6 stars), panel gaps (4.5 stars), paint & exterior services (4.4 stars), and delivery experience (squeaking in at 4 stars). However, communication prior to service garnered a pretty weak 3.6 stars. Defects, repairs, and service visits within the first 30 days are covered above. 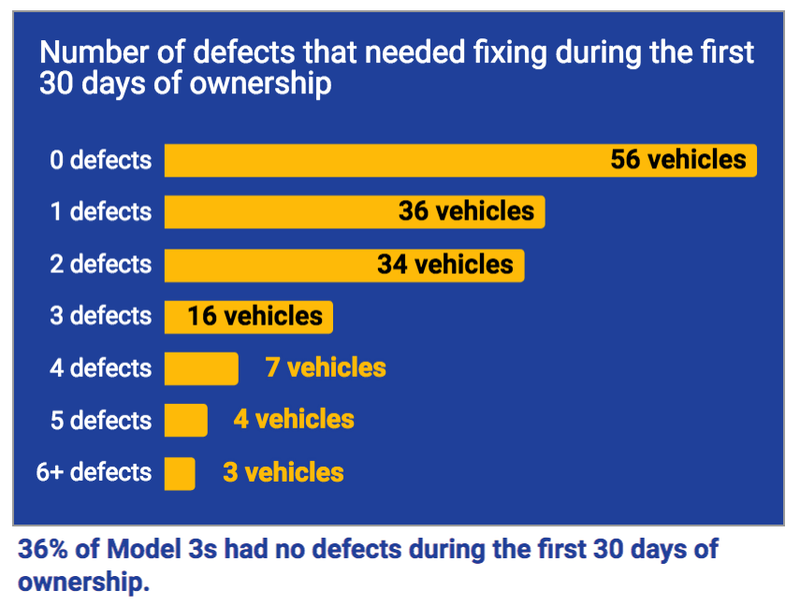 It’s unclear what is included here qualitatively, but it seems obvious that Tesla could do a better job getting perfect vehicles out the door, rather than vehicles that need touched up here or there. But we end with the real goodies. This is where chart master Troy apparently pulled all the numbers together for the analysts at Baird, Goldman Sachs, Morgan Stanley, etc. to explore. Or maybe these results are for all of us retail investors and financials fanatics. The big deal in the resulting figures is that the analysis has the Model 3 average selling price (ASP) at more than $59,000. That’s a hefty chunk of change, far more than the eventual $35,000 base price, and even buoyantly more than the $42,000 ASP that Tesla CEO & Chairman Elon Musk previously said he expected the Model 3 to settle on. But what’s a number or two dropped in a vacuum? 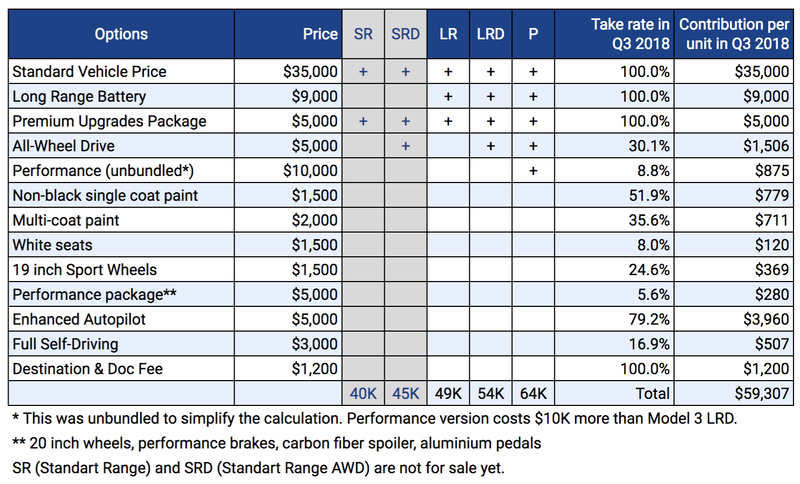 What’s critical here for Tesla, stock surfers, trolling and non-trolling shorts, and perhaps Saudi Arabia is that Tesla seems to be selling very high-priced, high-margin cars that are able to get Tesla cash flow positive and profitable much quicker than lower-trim cars without Enhanced Autopilot, Full Self-Driving capability, the Performance package, the Premium package, sporty wheels, pretty non-black paint, white seats, all-wheel drive, and really long range. 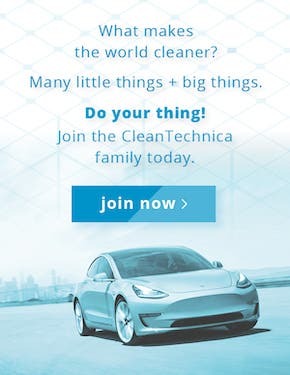 Another point that is perhaps often ignored is that many buyers have paid more than initially expected in order to get these extra goodies, in order to get their cars sooner (that’s what happened with the CleanTechnica Model 3), in order to take advantage of the full tax credit before it gets reduced, and in order to support the Tesla mission. That last reason is one I’ve even seen CleanTechnica readers admit to, which is pretty astounding. Donations to nonprofits are often in the $20–30 range. A Tesla Model 3 upgrade to help the company along means several thousand dollars (… of course, not as donations, but in exchange for goodies). The power of the Tesla movement to help float the Model 3 ASP higher and boost the company to profitability is pretty astounding. Reflect on that for a moment. 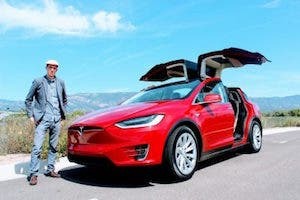 The ironic, serendipitous, or perhaps simply logical thing is that the high ASPs are helping Tesla fan #1 get through a very difficult month — or year. Every movement needs a leader, and the leader of this movement is clearly Jim Chanos — I mean, Elon Musk. Elon has a high number of good traits, especially for the task of creating multi-billion-dollar companies. He also has an often unrealistic optimism. That optimism was no doubt critical in building those multi-billion-dollar companies, but it can also present challenges, like when you expect to produce 5,000 units of the Model 3 a week several months before you actually do arrive at that target. A delay like that can eat into your financials in a less than soothing way. Slower production means less cash money rolling in for many of the same overhead, operational, and financing costs that you would have regardless of output. With the piggy bank drained to a rather low level and needing a big influx of Benjamins by early 2019, Tesla is now getting a big helping hand from selling the highest priced vehicles it can produce. That’s the power of the revolution. As its humble, thoughtful, visionary, inspirational, kind, but sometimes overly optimistic leader stumbles over some clumsy robots and big piles of FUD, the foot soldiers roll in to buy Performance Model 3s with Full Self-Driving capability, white vegan leather, and red paint. 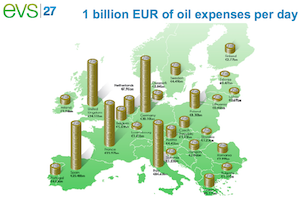 And they also create pretty charts. 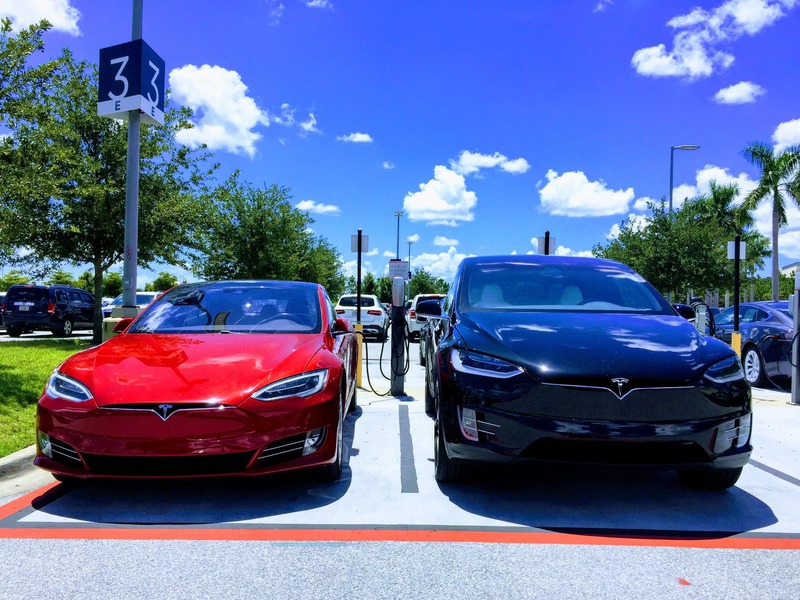 Bringing up the tail, thousands more tweet articles like this one, leading to more awareness, more sales, and more Model 3, Model S, and Model X upgrades. Elon Musk may be carrying the flag at the front of this revolution, but Tesla’s #1 asset is the millions of people who have his back. To see what an ASP of $59,000 at this month’s estimated production rate does for Tesla’s finances, be sure to play with Maarten and Vijay’s SimTesla “game” (aka spreadsheet). 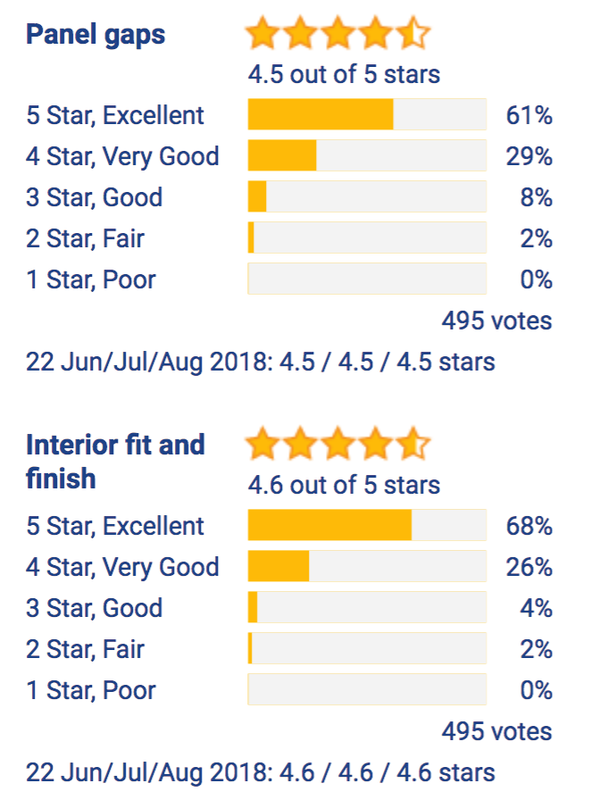 Thanks again to Teslike/TroyTeslike for creating the surveys, charts, & tables above and for sharing them with CleanTechnica.